I’ll be the first to admit that this issue is a little more ‘rushed’ than usual, but to be completely honest it is lucky that I even managed to get this issue out on time at all! The last few weeks have seen the PC that I use for SBG, which has been cantenkerous for the last few months start to rapidly go downhill, until on Sunday evening it REALLY started to give up the ghost! As such, I have been writing the digest on a frustratingly slow computer that often freezes and is so bad that when it does, often the only way to get it to respond again is to pull the plug at the back and start again..! I plan on getting another PC as soon as my finances allow it, but due to these frustrations this issue will be a bit – er – shall we say ‘last minute’. However I hope that you’ll still find a few cool bits and pieces of interest! (Sorry guys, will make it up to you next month when I have my new PC up and running, I promise!). Trying to deal with a backlog of the SBG professional grade Katana orders (as well as process some new ones so that the forge does not run out of things to do) meant I was not able to get around to finishing off several new projects for the main site (looks like it is a bit of a recurring theme, but it was made a tad worse with my computer deciding now is a good time to shuffle of the mortal coil!). That said, I WAS finally able to add Marc Ridgeways excellent review of two Ronin Katana as I really do believe in these swords AND the company producing them (Chris from Ronin is one of the most forthright and open sword producers in the business) and if you have ever seen one of their blades first hand, you’ll probably agree with Marc that they are some of the best value for money Katana around.. But as most of SBG’s efforts this month were to help get all those backlogged Kuramono out there to everyone, everything else had to take a backseat for now – though as you can see from this recent review on the forum, I think they are worth the headache!! Speaking of SBG swords, TODAY sees us finally open up on our other line of Katana – and we are finally accepting new orders on another batch of our famous $330 SBG Custom Katana!! As a lot of people have been waiting for these (after all, they ARE the lowest prices, best value for money option around for a customized Katana) we are likely to reach the forges maximum production capacity by the end of this month, so you will want to get in on these asap! In other SBG sword store news, late June saw the long awaited Cheness Cutlery restock of their classic line of Japanese swords such as the Kaze, the Tenchi and the Oniyuri – however I honestly can’t say how much longer they will be available as quite a few were shipped out to customers who backordered them either through the SBG Sword Store or Cheness directly. So if you were not aware they were back in stock and wanted to get one, its best to get your order in sooner rather than later (as at this stage, the next restock is not expected until October). June saw some very interesting developments in the mid to higher end of the sword market – first off with the release of some very attractive laminated and differentially hardened T10 tool steel Katana by Sword N Armourys own ‘Munetoshi’ brand. While the $479 - $499 price tag may at first glance seem a little rich, I have it on good authority that these are actually extremely good value swords and could easily sell for considerably more and still be a very good deal..
Raising the bar even further, Hanwei’s collaboration with Bugei’s James Williams on their new ‘high alloy’ swords (the exact composition of which is deliberately somewhat mysterious) made available two new mid end Katana – the bamboo mat and the Lion dog swords, which despite their reputation as being extremely durable swords, also have extremely attractive blades and hamon. While the MSRP on these swords is $799 they are available for as little as $379 here at Kult of Athena (which is kind of amazing to be honest as they should sell for a lot more – and DO sell for a lot more at most other sellers websites). 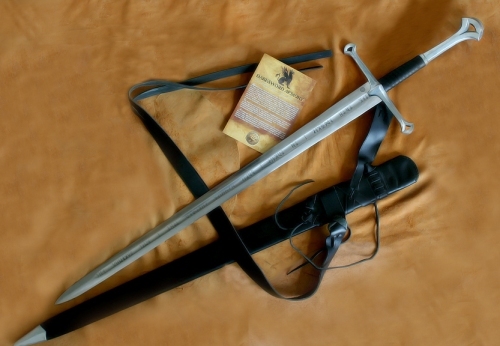 FANTASY Sword lovers have been in for an unexpected treat too this month, with the reappearance of the only functional versions of the LoTR inspired Anduril and Ranger Swords by Darksword Armory. Indeed, these swords coming back even caught me by surprise as last I had heard, Eyal from DSA said that despite their popularity, he wanted to do something new – but clearly the demand for these functional replicas was simply too much to ignore (and if you have seen these swords first hand, you will know why that might be the case). Other news from June saw some price rises at Albion Swords (and the inevitable grumbling by many members of the sword community) and some STUNNING designs submitted by members of the SBG Forum community that will be brought to life by Darksword Armoury over the coming months (you REALLY have to see some of these designs, inspiring stuff indeed!). 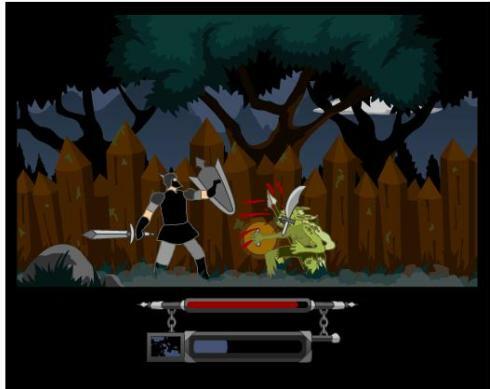 Like most simple flash games, there isn’t much too it – push down to block with your sheild, walk forward/backwards and jump with the arrow keys, a fast attak with the A button, a harder attack with the S button and a special attack unleashed with the D key.. However, like the best simple flash games, its actually quite challenging to time your attacks correctly and fight your way through a horde of goblins, giant wolves and spiders with a cinematic sound track in the background.. While at first, it seems a bit lame, it is worth persisting with – but be careful, its actually pretty darned addictive..! Love them or loathe them, it can’t be said that Cold Steels promotional videos are boring! And this long thread covers pretty much all the different reactions you might expect from some rather interesting sword test results..
$5000 to spend, so whats the absolute best Jian money can buy? It’s a fair amount of money, but what can a real Chinese sword enthiast get for $5000? Check this thread to find out! It looks cool, so how can you do it if you want to customize your own? Find out here! It’s no coincidence that the fight scenes in the LoTR movies were fairly realistic (though of course, with enough flair and fantastical elements to keep it interesting to a broad audience). 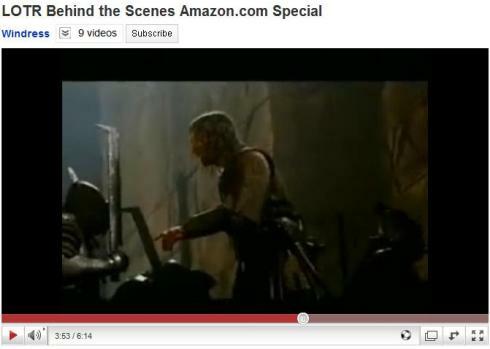 In this video we take a behind the scenes look at the fighting styles behind the characters Legolas and Aragorn as choreographed by Bob Anderson (who did all the fighting under the Darth Vader suit in Star Wars) as well as learning more about how the actors viewed their characters fighting methodologies. Now I just wish they would hurry up so I can watch the Hobbit!! BARGAIN HUNTERS CLEAROUTS AND DISCOUNTS! You probably already know my personal opinion of Windlass Steelcrafts medieval swords – their longer blades can be a bit ‘iffy’ in terms of ‘whippiness’ – some are good, others too flexible to be of much use for thrusting, so they are best to buy once a review has established which is which.. 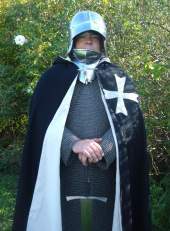 But I’ve found that their one handed arming swords are on the whole very good value for money – so when they close out a $265 brass hilt effigy sword for $159 (and include free shipping) or the ornate $225 sword of cassel for $149, you know that there are some serious bargains to be had! In the past year, Sword N Armory have been the sword seller to watch. With many glowing reviews of their customer service on the SBG Sword Forum, and some very well received T10 tool steel Katana that rival even what I have come up with for the official SBG Katana line (at least, their higher price pieces do) they are proving to be extremely popular. While I personally am more interested in their exclusive Munetoshi line than anything else, their closeout and biweekly specials pages are a must visit destination for the budget consious sword buyer..
For example, in their closeout section you can find a very attractive folded and laminated blade suitable for display and light, occasional cutting for just $149 (marked down from $300) or an iaito for just $37!! And while you may have to sort through a few other misc bits and pieces to find the treasures in their b, it is well worth a look! Sorry for the slightly rushed issue, got to go and hunt down a new PC so talk to you all next month! !